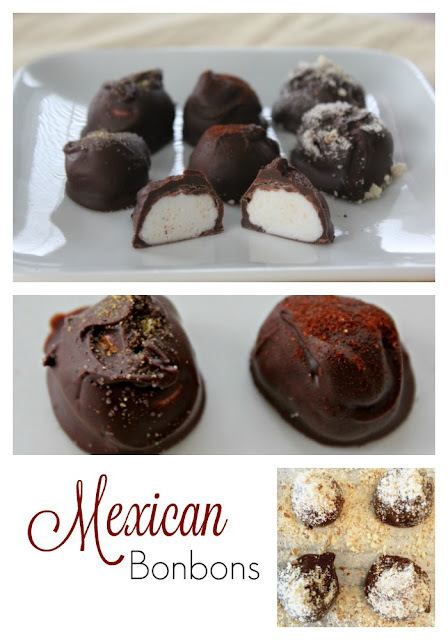 What might inspire Mexican (chocolate) Bonbons? Mexican bon bon candy is so good, with warm spices that enhance the chocolate profile. 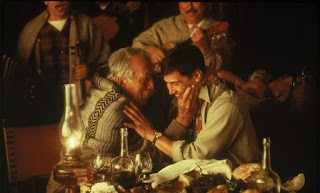 My all time favorite movie, A Walk in the Clouds! For me, it is the ultimate in romantic movies, and of course, it doesn't hurt that Keanu Reeves is the main man. I met Keanu in Colorado when I was on vacation. I walked up to him and said, "You're Keanu Reeves." He said, "I know." If you haven't seen this movie, you should. It's all as Roger Egbert, the famous movie critic says it is. "A Walk in the Clouds" is a glorious romantic fantasy, aflame with passion and bittersweet longing. One needs perhaps to have a little of these qualities in one's soul to respond fully to the film, which to a jaundiced eye might look like overworked melodrama, but that to me sang with innocence and trust. Yes, the movie is over-the-top. The characters are so easy to love, a veteran home from his stint, a beautiful woman coming home in disgrace. You want both of them to be happy, and you can see that each makes the other happy. Love as it should be! So this is this month's Food'n'Flix movie choice. While I was crazy about the movie, for me there weren't a lot of inspirational food scenes. However, Paul, the veteran, sells chocolates as a living, and Don Pedro (Anthony Quinn) can't keep his hands off them! It's such an endearing part of the film! So I decided to make chocolates, a fondant filled chocolate, like the ones Don Pedro liked. This recipe is inspired by this movie, and I hope you enjoy it! The centers are a marshmallow fondant flavored with Mexican spices. Delicious! Microwave marshmallows and water for 30 seconds. Stir until all lumps are gone. Add 1/3 c powdered sugar, and stir until sugar is absorbed. You may have to add a bit more sugar if the weather is humid. Spread 1/4 c powered sugar on a work surface. Knead dough until it is easy to handle. Divide dough into two parts. Sprinkle one seasoning into one half the dough and knead until all the seasoning is throughout the dough. Repeat with the second half with the second seasoning. Roll dough into 1" balls and refrigerate for 30 minutes. Before you take the fondant from the refrigerator, melt chocolate in the microwave in a cup. Stir the chocolate until completely melted. Dip each of the balls in the chocolate, covering them completely. Place on waxed paper and allow to hardened. Sprinkle the tops of the balls with the corresponding seasoning. Linking to the Mexican Fiesta Blog Hop! Check out all the wonderful Mexican style dishes on this link up! Everything containing dark chocolate is a friend of mine, your recipe sounds great! And what a fun story meeting Keanu! :) He is truly a gifted actor and a deep person, love him! And that movie ... AHMAZING! I am working backstage on a community theatre production now ~ going to make these for the cast and crew! I have a Keanu story too ~~ talked with him at the Minneapolis/St. Paul airport years ago. He was kind and generous with his words. Oh, so jealous - I'd love to meet Keanu...dreamy. :) These bonbons sound amazing - and so pretty! I really thought there would be tons of chocolate this round but it looks like the grapes may have won. Great looking candies, Terri. I love the idea of chocolate and chili. And agree with Heather, jealous on the Keanu meeting. You had me at BonBon! These sound fabulous, with a kick! Thanks for sharing. 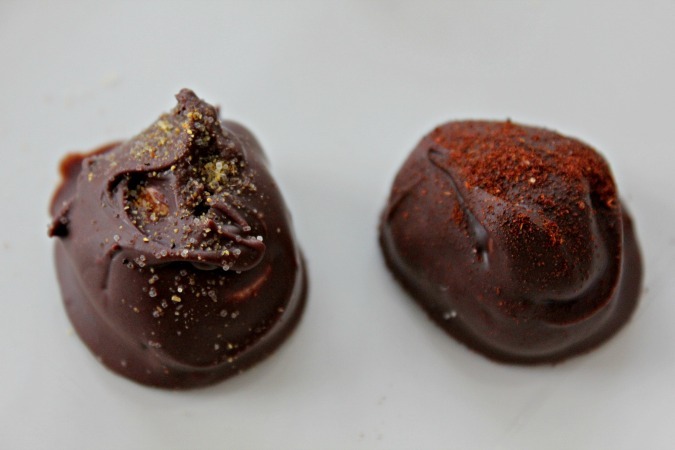 I love that you made bonbons! These are perfect! Your Keanu story made me giggle--that is totally something I would do. ;-) I was thisclose to making chocolates of some sort but a drink won out--I never would have gotten as creative or fancy as you did though. These look amazing and I love the chocolate, marshmallow and spice combination. Wonderful!